Mayhew has been making hand tools for over 150 years. Founded in Shelburne Falls, the home of the Lamson & Goodnow Knife Company, Mayhew now makes their tools in the town of Turners Falls, Massachusetts. Mayhew makes pry bars, masonry tools, nail sets and hook and pick sets. The Mayhew 6-Piece Punch & Chisel Set is definitely on my shopping list. President and CEO Terry G. Taylor is currently at the helm of Wright Tool, which makes its tools in Barberton, Ohio. Wright Tool has been making outstanding tools for over 80 years. Wright Tool is passionate about employing members of our extended American family to make their tools; they use only U.S. made steel in their tools! Wright Tool’s bread and butter are heavy-duty hand tools. Wright Tool makes wrenches, socket sets, torque wrenches, screwdrivers and nutdrivers, hex keys, pliers, snips and scissors as well other tools. I have my eye on a Wright screwdriver set. Last, but definitely not least, is the Channellock Company. Channellock has been making tools since 1886. 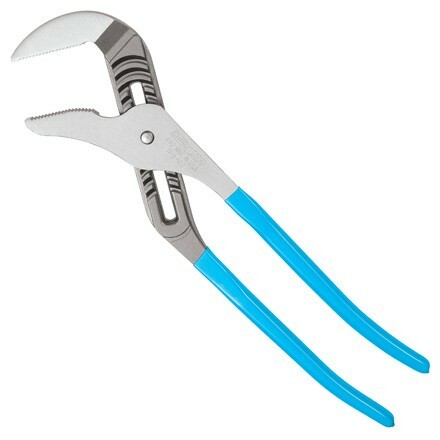 They make their great pliers, wrenches, screwdrivers and more. Their website has a cool link to videos that show you how Channellock tools are made from the raw metal to the finished products in Meadville, PA. My favorite Channelock tool is the classic tongue and groove. If you want great American made tools like these, you probably need to go to your local hardware store or venture online. Most big box stores like Home Depot and Lowes may not carry these brands. If they don’t, let them know that you would like to see them carrying these old American favorites. If enough of us let them know, maybe they might actually change their practices. It could happen! This entry was posted in american made, Made in America, made in usa, Tools and tagged Channellock, Made in America, Made in the USA, Mayhew Tool, tool, Wright Tool. Bookmark the permalink.